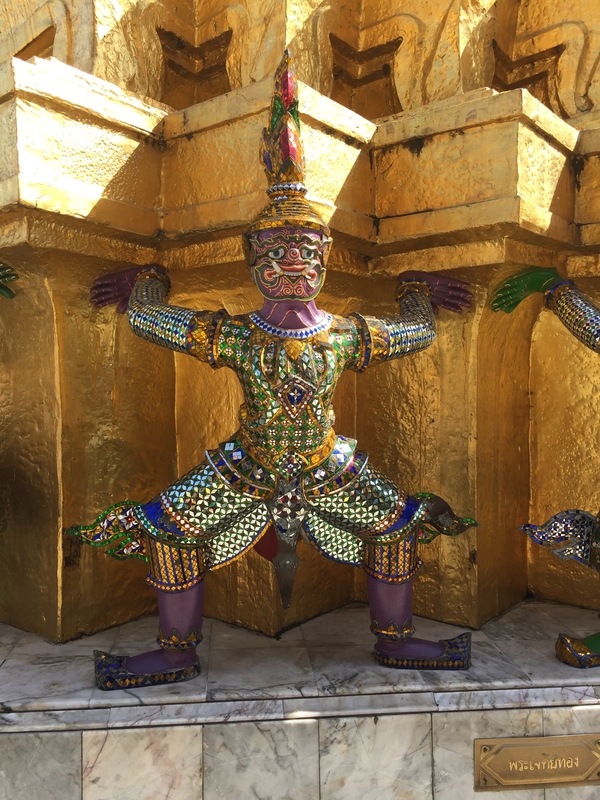 Bangkok is a MUST, at least once, for everyone…for me, this was my second time and I saw even more and liked it even more than the first time around! Taxi: It’s always best to arrange transport with your accommodation, as taxi drivers in Bangkok can be a bit sketchy. Most taxi drivers don’t use meters and just bargain a price with you once you tell them your destination. They LOVE to take advantage of tourists, or offer a really cheap price and make a ‘stop’ along the way at a shop to get you to buy something. BE CAREFUL WITH THIS! Ask the taxi driver to use a meter upon entering the vehicle, and if they refused, get out, unless you’ve negotiated a reasonable price. Tuk Tuk: The Bangkok mode of transport and SO much fun to ride in-we took them all over the city the entire time we were there! Walking: Wear proprer walking shoes, as you’ll be on foot a LOT! If you’re looking for a more affordable accommodation, but still 4 star class, then the Anantara Bangkok Sathorn is for you, although it’s situated a bit outside the city. A 2 bedroom suite (HUGE!) with 2 balconies was about $100USD per night. Tip: get the room service breakfast, at about $10USD per person, it’s basically two meals in one and oh so delicious! The Anantara Bangkok Riverside is a better option if you’d like to stay more inside the city. It’s about $100USD per night for the standard room. We’ll be staying here next visit. There is an ENDLESS amount of temples and markets in Bangkok, but I’ve highlighted the top ones we went to, which were recommended by friends who frequent the city. 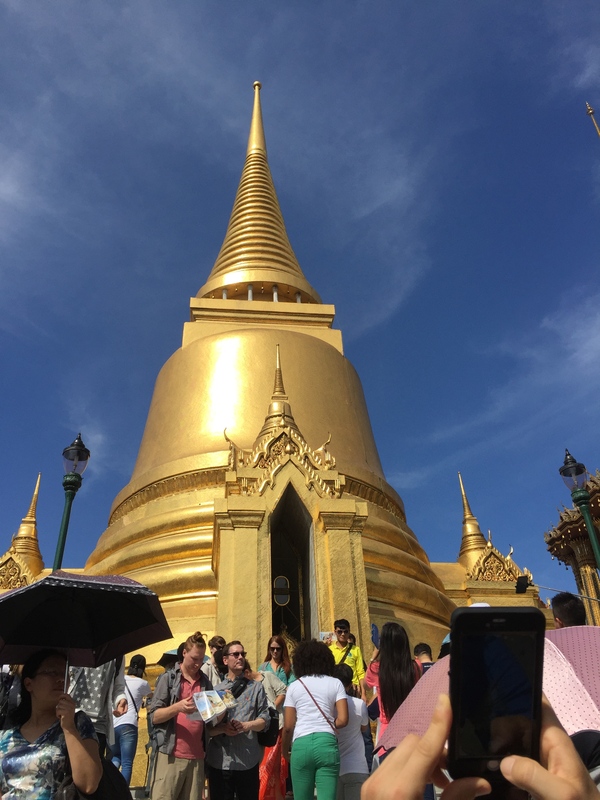 The Grand Palace Is A MUST See! The Grand Palace, Bangkok’s famous palace complex, was built in 1782…it’s been called the ‘Vatican City’ of Asia. Be SURE to wear long pants/shirt to all of these temples (or carry them along and put them on prior to entering), as covering up is required/respectful. Sarong’s are not accepted as cover ups for ladies’ shoulders, so bring a real shirt, otherwise you’ll have to buy one. 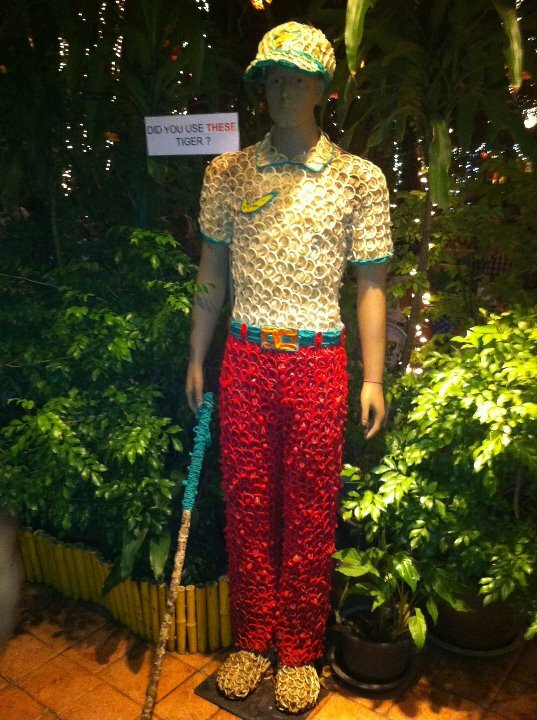 Cost for entry is 500 Baht ($14USD) per person. We spent about 2 hours roaming around here, but I’m sure you could easily spent 3+. I suggest going as soon as they open, as the crowds are massive in the middle of the day, and it’s also really hot. 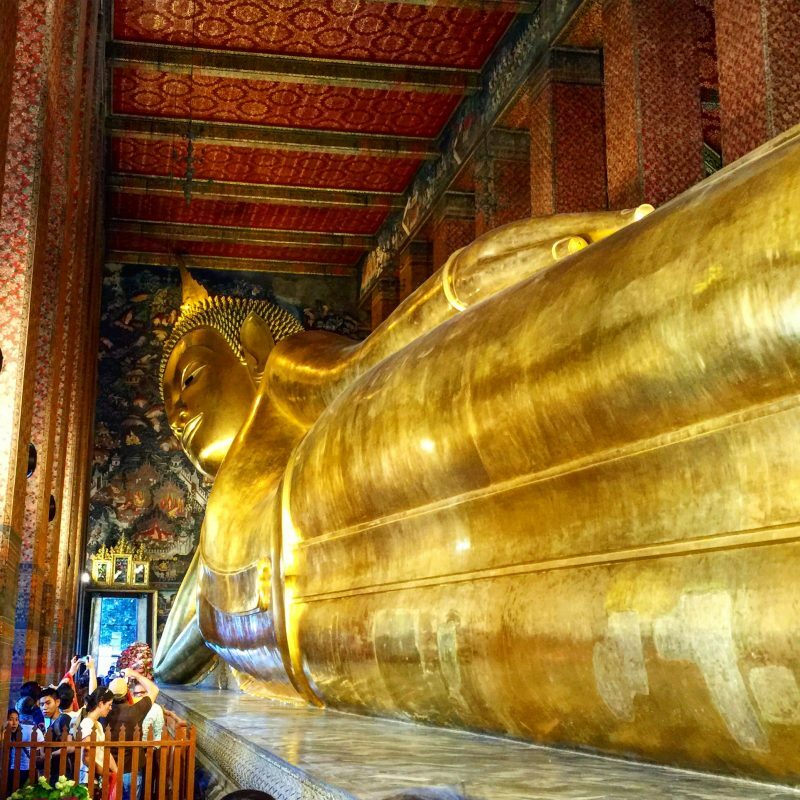 One of the oldest and largest Buddhist temples in Thailand, Wat Pho measures at more than 150 feet in length . This is my favorite place I all of Bangkok because the Buddha is just SO massive, pictures don’t even do it justice. You’ll constantly hear a clinging noise while you’re inside and, once you circle around the back of the structure, you’ll get to discover where it’s all coming from (I’m not giving it away). You can take a Tuk Tuk from the Grand Palace for about 100 Baht ($3USD) to arrive at Wat Pho in 10 minutes. The cost of entry is $100 Baht ($3USD). Wat Arun is almost directly opposite Wat Pho, so it is very easy to get to. From Sapphan Taksin boat pier, take a boat on the Chao Phraya River that stops at pier 8, then take a small shuttle boat from one side of the river to the other for only $3 Baht. You can also go via Tuk Tuk. TIP: Go at Sunset (even though it’s called Temple of the Dawn)! Bangkok is known for its inexpensive shopping. There are literally countless amounts of shopping malls and markets. Chatuchak Market is a MUST visit market! It houses over 8,000 stalls of souvenirs, clothes, art, antiques and other various goodies! Do Note it’s only open Friday-Sunday and the cost of entry is free. Khao San Road is a half-mile long, mini street, with vendors selling crazy street foods, souvenirs, cool bars/restaurants and clubs. TIP: Go after dark and don’t bring your children! 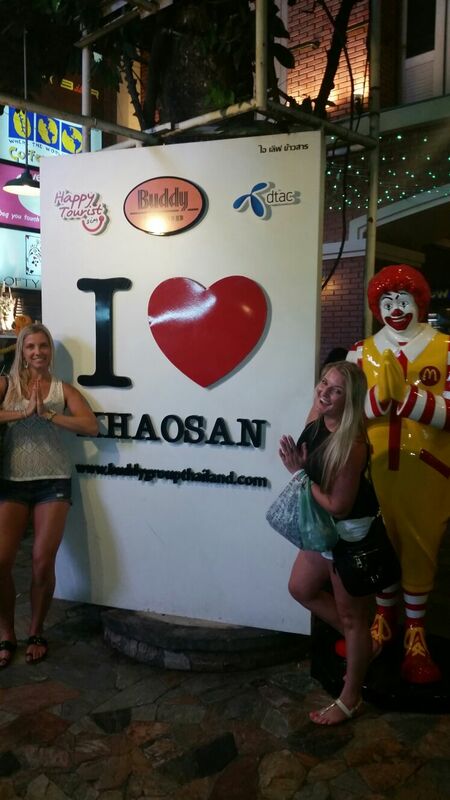 Bangkok is known for its temples, food and shopping! There is no shortage of malls and markets in this town! Here are the top best ones to visit to get your retail fix! 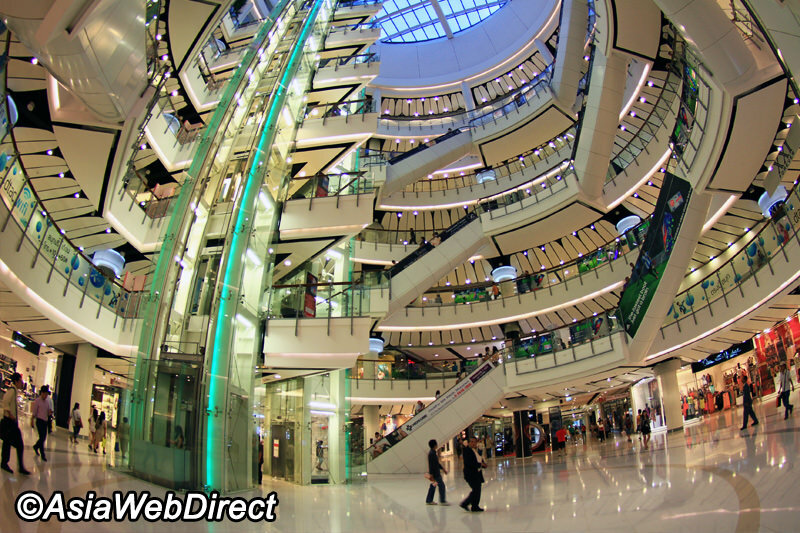 Central World Plaza, Siam: This mall is the largest in Thailand. You’ll find trendy fashion brands here. Siam Paragon: The super LUX mega-mall of Bangkok. Terminal 21: Cool concept of different world cities, all under one roof. Bangkok has NO shortage of bars and crazy nightlife. There are countless blogs listing 10-20 rooftop bars in the city, it’s almost impossible to decide! These two were our favorite out of the many we’ve visited. Octave Bar was our FAVORITE! We rang in 2016 here and it was incredible! 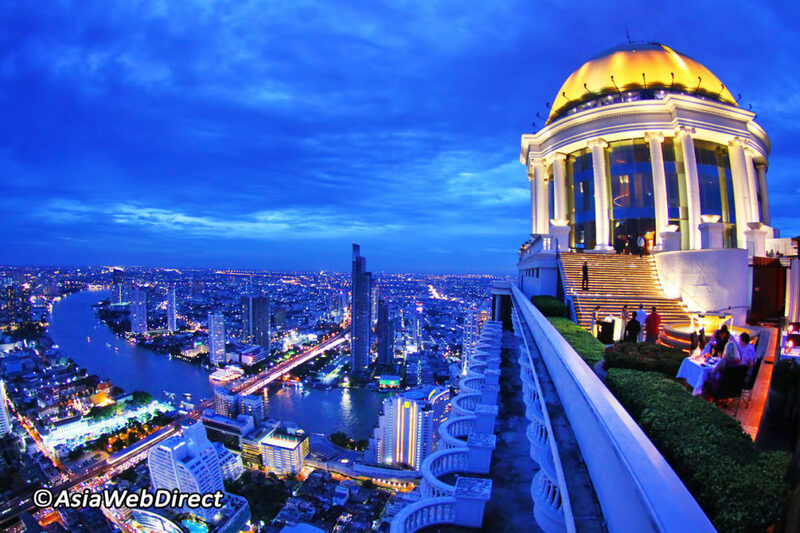 For NYE, there are MANY options around Bangkok, but rooftop ticketed parties are the way to go! We chose Octave Rooftop Bar, located at the top of Bangkok Marriott Sukhumvit. Entry was $80USD per person, which included a small bottle of Moet. The 360-degree-views of the city were epic, although the fireworks were totally disappointing. Red Sky Centara is conveniently located in town, with great views of the city, (no river views here, though). Nara Thai is conveninetly located in Central World Plaza (7th floor), so after you’ve shopped your socks off, head up there for some traditional Thai eats.. Their Pad Thai was my favorite. 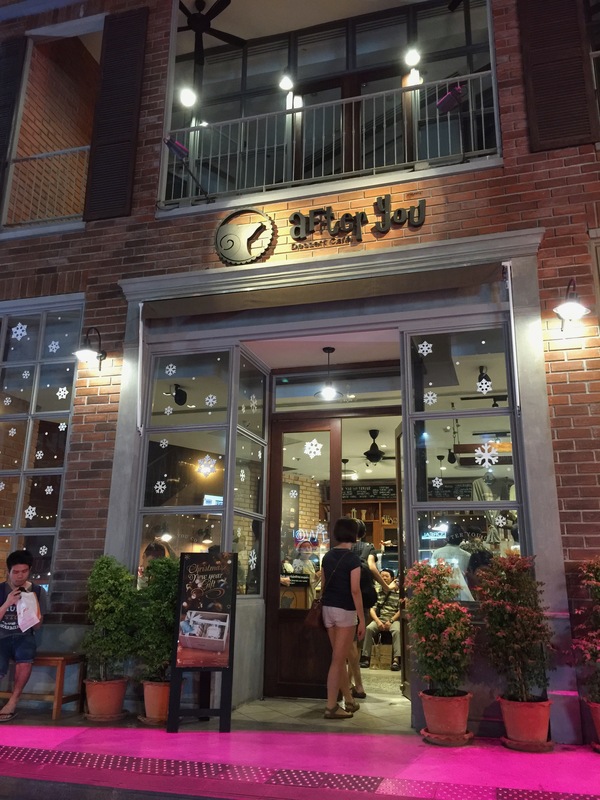 After You Cafe is a MUST when visiting Bangkok. Fortunately, there are multiple locations all around the city. The apple crumble with vanilla ice cream, as well as the chocolate lava cookie is TO DIE FOR! The wait is LONG, so try to go at non-peak hours or get take away and eat outside. Cabbages & Condoms is an awesome restaurant, experience and cause. The founder wanted to highlight a wide range of social issues, such as sexual health, with a catchy twist. 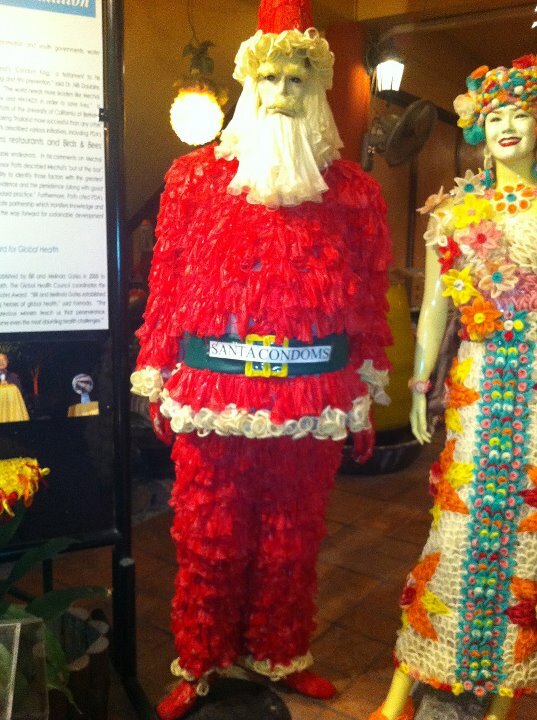 All the decor is made of condoms (no joke), so it’s probably not suited for young ones. Money from your meal is used to support development programs initiated by the PDA. 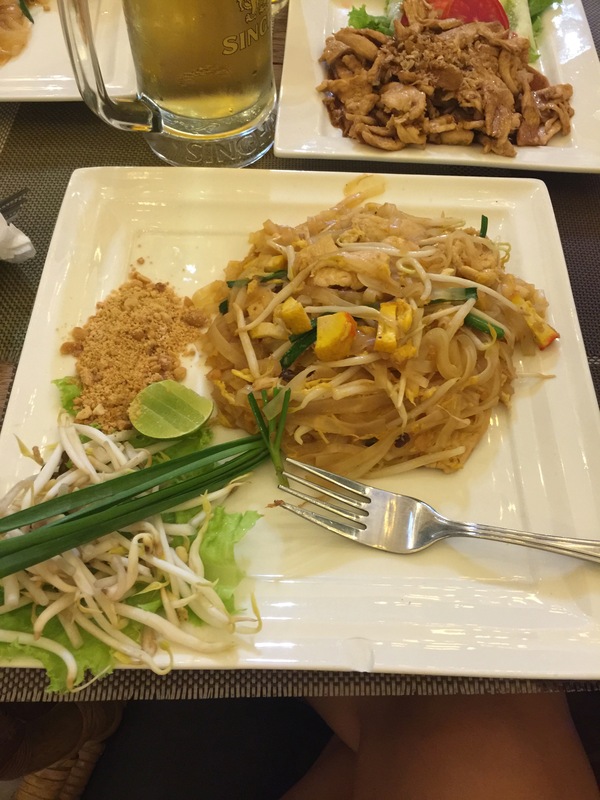 Thai food is DELICIOUS, but beware, it’s spicy! You can always ask for no spice or little spice. 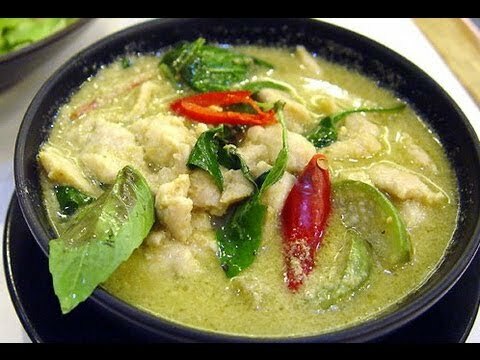 The best Thai dishes are Gaeng Keow Wan Kai (Green Chicken Curry), Pad Thai (Thai Style Fried Noodles), Gaeng Daeng (Red Curry), Som Tum (Spicy Green Papaya Salad), Tom Cha Kai (Chicken in Coconut Soup-my favorite! ), Pad Krapow moo Saap (Fired Basil and Pork), and Yam Nua (Spicy Beef Salad). If you’re in need of some cheap pampering, then Bangkok is the place to be. There are massage places/spas all over the city. Be sure to read up on the place before going, or get a recommendation from your accommodation. We had massages at the Anantara, which were amazing! 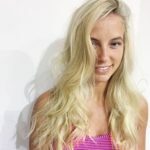 Bangkok is THE spot to go for custom, tailor made clothing-not just for men, but for ladies as well (who wouldn’t want a custom made dress)! Be SURE to find a reputable tailor the first day you arrive, as it takes time to sew them. 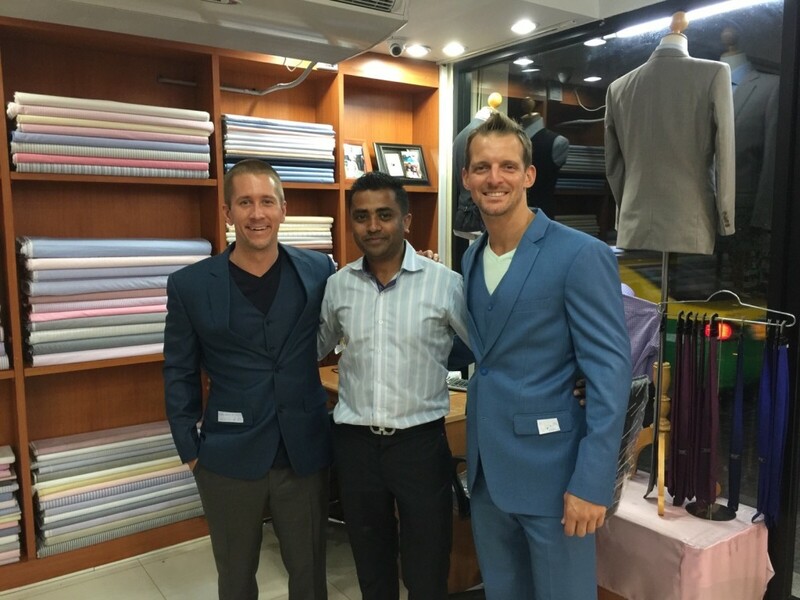 Normally, in Singapore, a custom tailor made shirt is about $120. 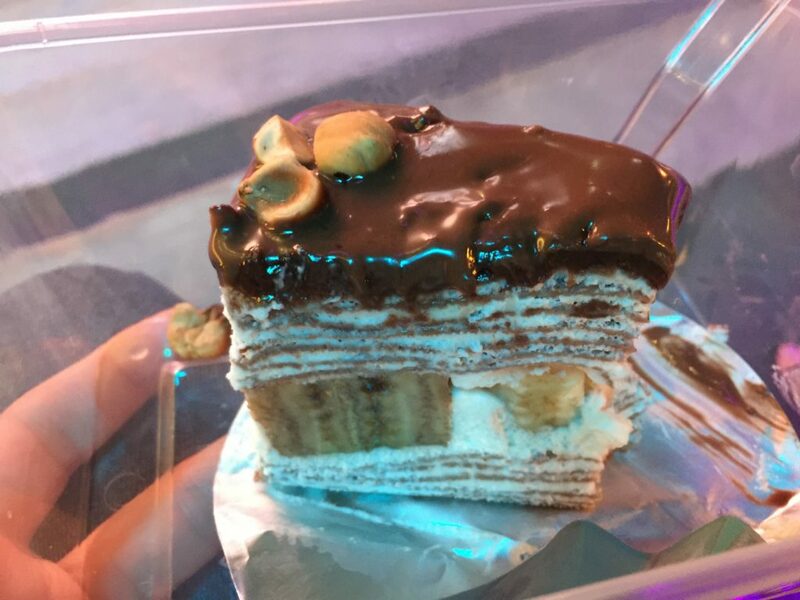 In Bangkok, it’s less than $20. 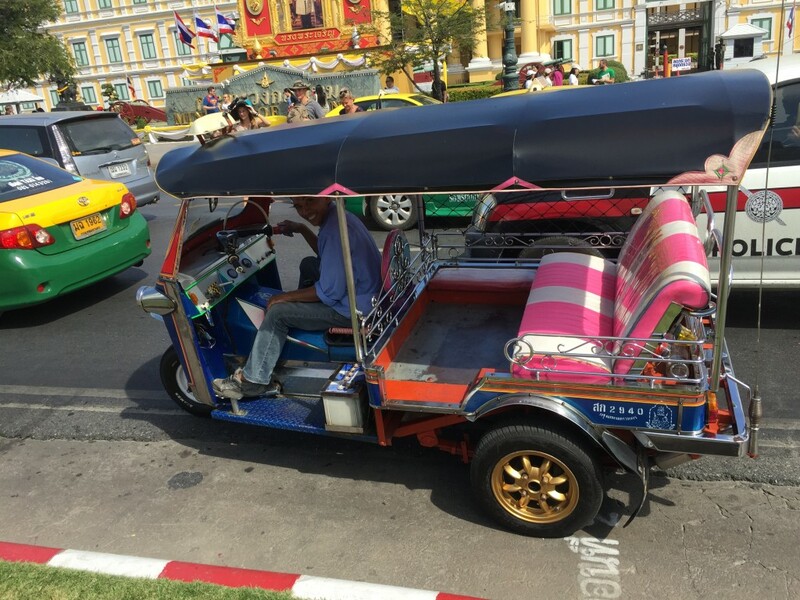 Negotiate everything you can, especially in markets and with taxis/tuk tuk drivers. Carry a name card with your accommodation name/address to show drivers. Be careful of scammers…they are everywhere! Watch your purse, bag, wallet while in large crowds.